The model I will be using is a Space Marine Shoulder Pad from Games Workshop. Now I mix my paint with water on a wet palette. But I've also had success with Liquitex Matte Medium and water. There are other additives you can try as well, you've just got to play with it and see what works for you. 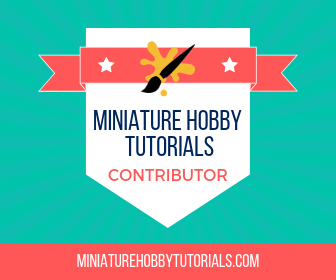 I prime my minis with Games Workshop's Corax White, but you could use a different brand. Be wary of Rustoleum and Krylon, I've had mixed results. Sometimes the chemicals in the spray react to the plastic of the mini. 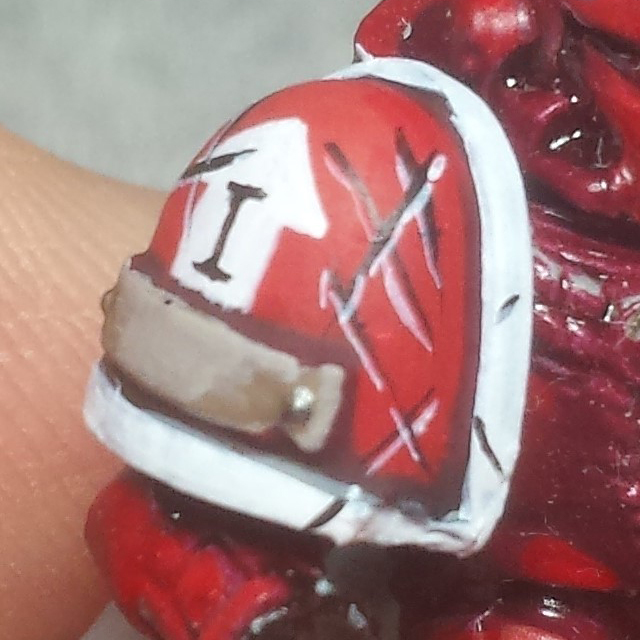 A nice point on your brush is required for this one, you need to be able to lay the paint exactly where you want it. First up, we need a surface to beat to hell. Here we have a fully painted shoulder pad from a space marine model I use for testing. 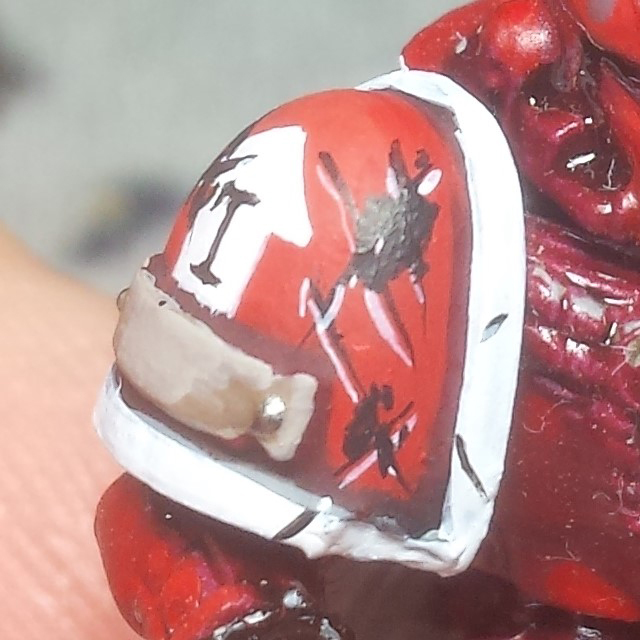 With the shoulder pad ready, I start applying scratches with Black. Try to keep in mind where the most wear would be and where attacks would be coming from. Also keep in mind that the height difference of the shoulder trim and inlay surface, as bladed weapons will ride up onto the higher edge and not gouge the surface close to the trim. Next up we take White and start highlighting the lower edge of the scratches. This is important and you always want to highlight the lower edge, as that's where your eye believes the light will hit. 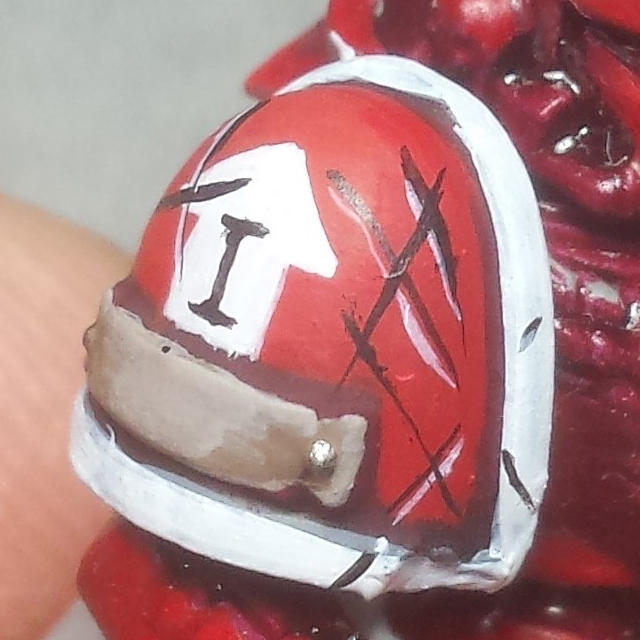 Now I start adding more scratches on top of the old ones. 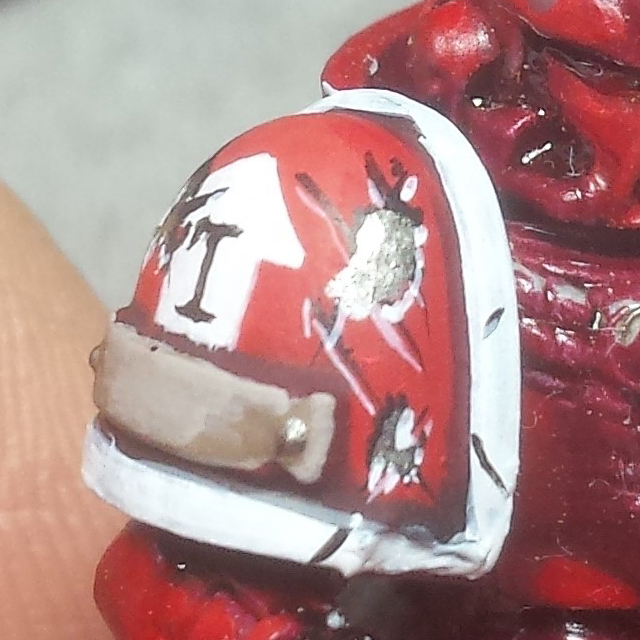 I also start adding little dings by randomly dotting the surface with the tip of my brush. With the new scratches on the surface, I highlight those as well. Next I start making larger areas of missing paint, keeping in mind where attacks would be coming from and how the paint would chip off. Randomly make clumps of dots and work them in with the previous scratches. 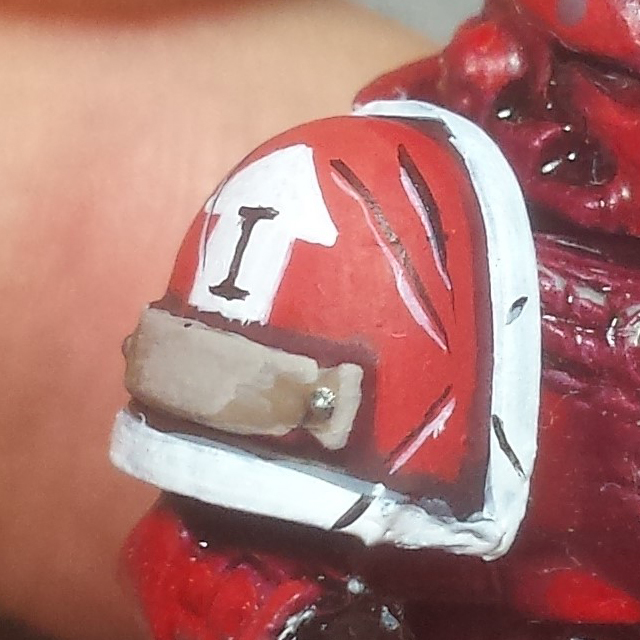 Its best to leave some of the surface color showing in the middle of the area as well to give the effect more realism. The larger areas are going to be worn down to the metal, so with that in mind I take Leadbelcher and fill the black area, leaving a black line near the top to act as a shadow under the remaining paint. 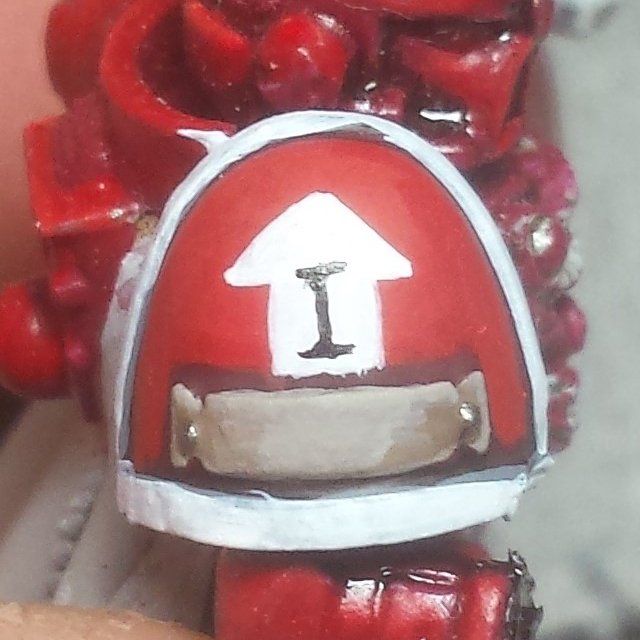 Next up, I highlight the metal surface with some Ironbreaker. 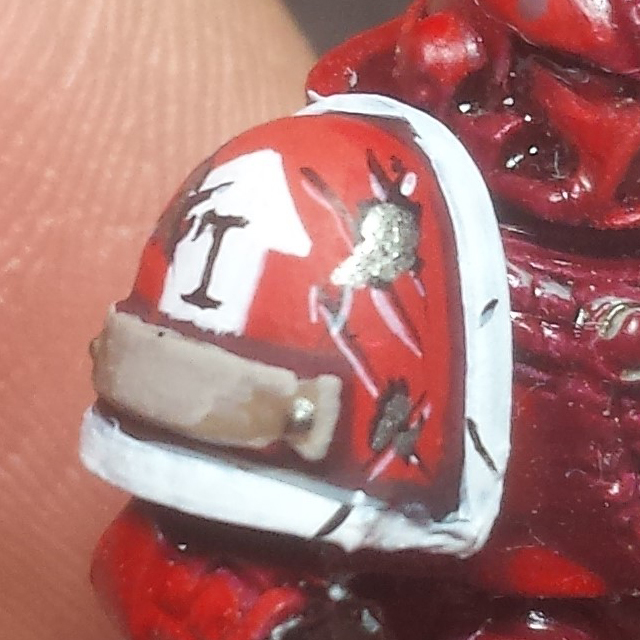 But rather than a normal highlight over the entire surface, I stipple it a bit to give it a hammered look. 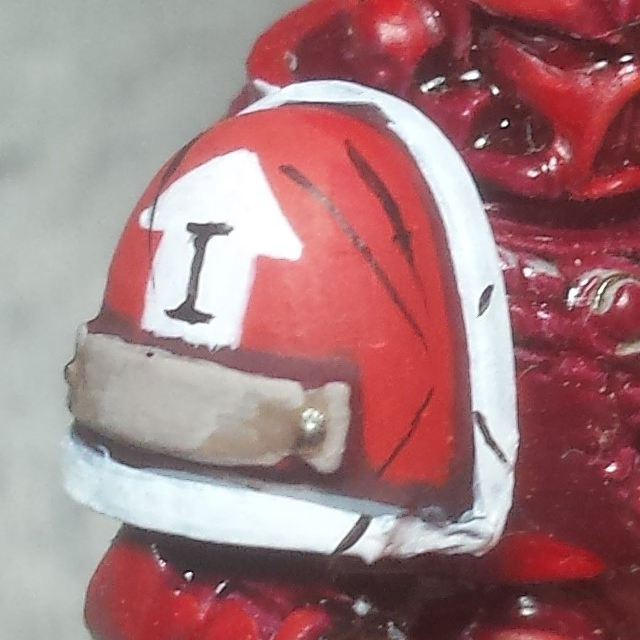 Usually I'll go over it twice with thinner coats to help give it more variation. Finally, we highlight the lower edge of the large ding areas. We don't want the entire edge to be a solid line of white though, so using the tip of the brush we will dot and line along the edge to give it a bit of variation as well. And that's it! A freshly dinged up and weathered painted surface. If you wanted to you can go a bit further and start adding in some rust and pitting to the exposed metal, or you can add more scratches to the metal surface by putting a line of black through it and then highlighting it as well. Sometimes I like to go over the metal with a brown wash to give it some color. But that's for you to decide. Until next time, you can catch me on Twitter and Instagram. Great tutorial Scott. 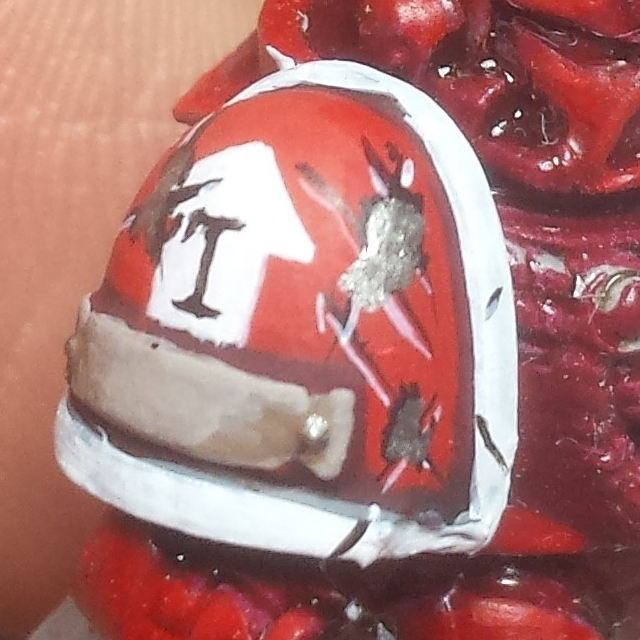 The added highlight and beaten metal are nice touch that help add that extra interest.  Thanx for the great tutorial! I'm going to give this a go. Thanks.